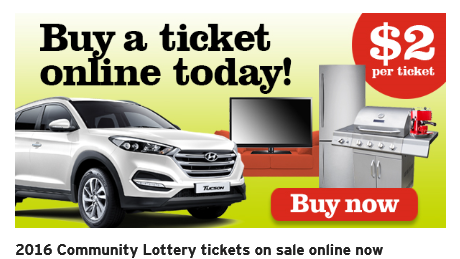 This year we were a part of the Community Lottery, through People’s Choice Credit Union. Thank you everyone who purchased a ticket, and helped us reach our goal of raising $1,200. We’d like to congratulate all the winners, but especially the winner of the LG 43 inch 3D LED TV / Blu-ray / DVD player who purchased their ticket through our club.